As Ice Cube famously recalled, “Today was a good day.” Those days are getting fewer and further between when it comes to air quality, according to Mecklenburg County’s recently published 2018 State of the Environment report. In rating daily air quality during the fiscal year 2018, the report shows that Mecklenburg saw 228 “good” days, 134 “moderate days” and three “sensitive group days,” during which vulnerable populations like children and asthmatics must use caution when outside. That’s a drop in sensitive group days from the last SOE report in 2016, but also a drop in good days compared to the 276 reported then. Despite meeting all of the National Ambient Air Quality Standards (NAAQS) of the 1970 Clean Air Act, there’s still plenty of room for improvement. For example, the county only matched the NAAQS for ozone at ground level in 2018, meaning the slightest increase would bring the county in violation of the federal standards. Breathing ozone can reduce lung function and inflame the linings of the lungs triggering a variety of health problems including chest pain, coughing, throat irritation and congestion, according to the EPA. It can also worsen pre-existing conditions like bronchitis, emphysema and asthma. Repeated exposure may permanently scar lung tissue. While Mecklenburg’s ozone rates have been dropping steadily over the years, a recent update to EPA standards put the county back at the cusp of violation. That’s what inspired the new “Breathing Room” campaign, which provides voluntary and incentive-based emission-reducing projects that will require the community’s participation. 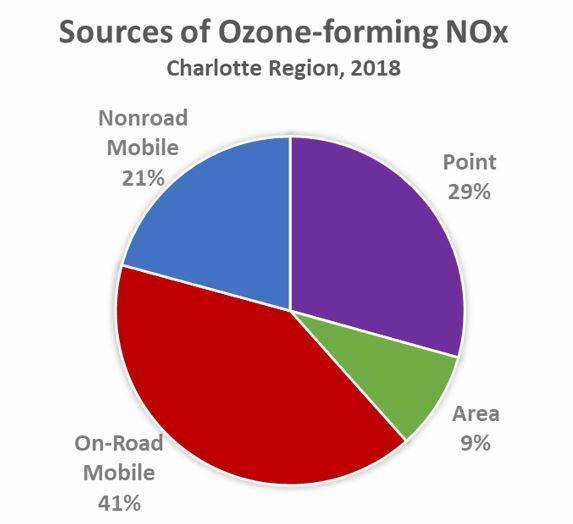 A goal of the Breathing Room campaign is to target mobile-based sources of air pollution like trucks, tractors and other vehicles with high-emission rates, which produce nearly 62% of the ozone-forming air pollution in Mecklenburg County. That’s a 26% drop since 2014, but there’s still work to be done. 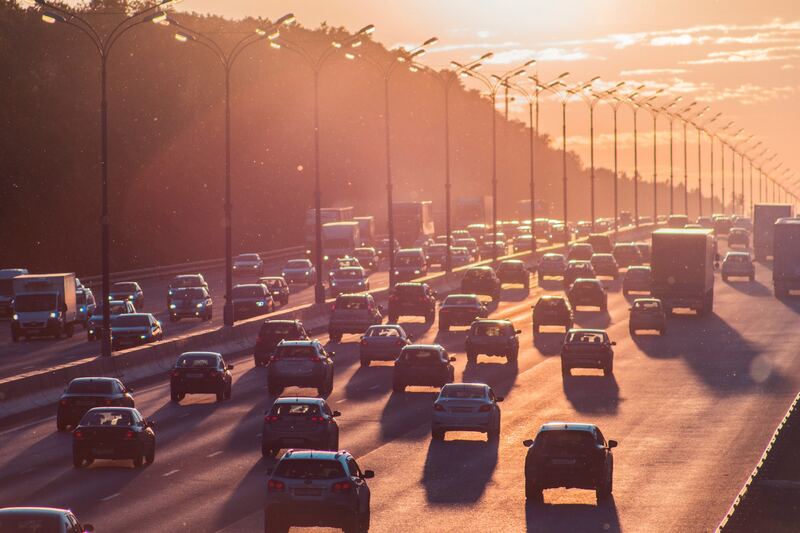 “Reducing pollution from vehicles and equipment will be especially important to improve local air quality in the future,” wrote Mecklenburg County spokesperson Rick Christenbury in an email. Despite hardly meeting EPA standards and a drop in “good” days over the last two years, Christenbury pointed out that the overall air quality in the region has “improved drastically” over the past decade. This is due to a combination of local, state and federal efforts. For example, the EPA has required that carmakers manufacture vehicles that produce lower emissions; the Clean Smokestacks Act in North Carolina reduced coal-fired-plant emissions by 75% since 2002; and the county has begun offering Grants to Replace Aging Diesel Engines (GRADE), which provide funding incentives for businesses and organizations to replace or repower old diesel-powered vehicles and equipment. According to the county, GRADE prevented 800 tons of air pollution in Charlotte and the surrounding region since launching in 2007. Still, the community needs to do its part if ozone levels are going to go down in Mecklenburg. The SOE report suggests that commuters carpool, take public transit, walk or bike to bring the levels down. Hell, you might even be able to ride the LYNX Gold Line into east Charlotte one day.